A Red Cross initiative in Dunedin is providing teenager from refugee backgrounds with one-on-one homework support. The second floor of Dunedin’s public library is buzzing with activity. It’s Wednesday afternoon and the space, which is reserved just for teenagers, is hosting a weekly homework club. The Red Cross initiative is designed for students from refugee backgrounds who are also some of Dunedin’s newest residents. Red Cross support workers recognised some of the difficulties students were encountering as they learned a new language and new concepts. It was decided that one-on-one tutoring would provide some valuable support and the homework club was established. 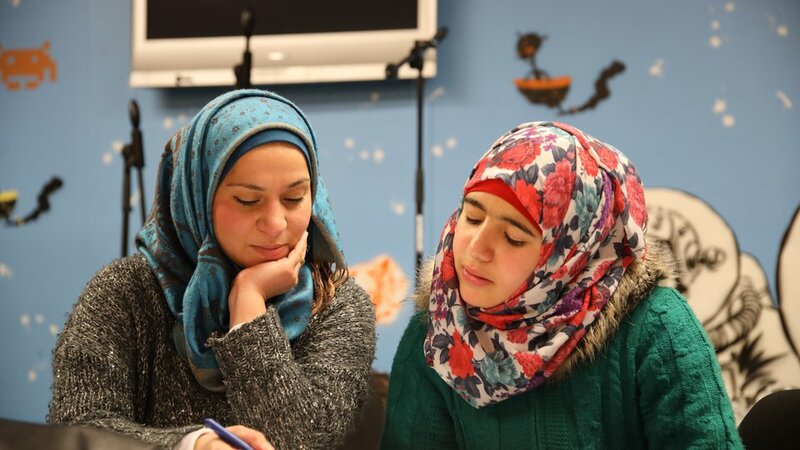 “We’re getting the students the help they want,” says Red Cross youth resettlement worker, Eman Ghandour. The peer tutors are mostly university students looking to give back to the community and share their skills. Dana Lawrie is one of the student volunteers and was introduced to the club through a friend. “I thought it sounded like a cool opportunity because I didn’t know much about refugees in the community,” she says. All the volunteers undergo an intensive training session where they learn about the refugee crisis and resettlement in New Zealand. The club is a valuable cultural melting pot that also exposes the teenagers to Dunedin locals who have lived in the city for a long time. 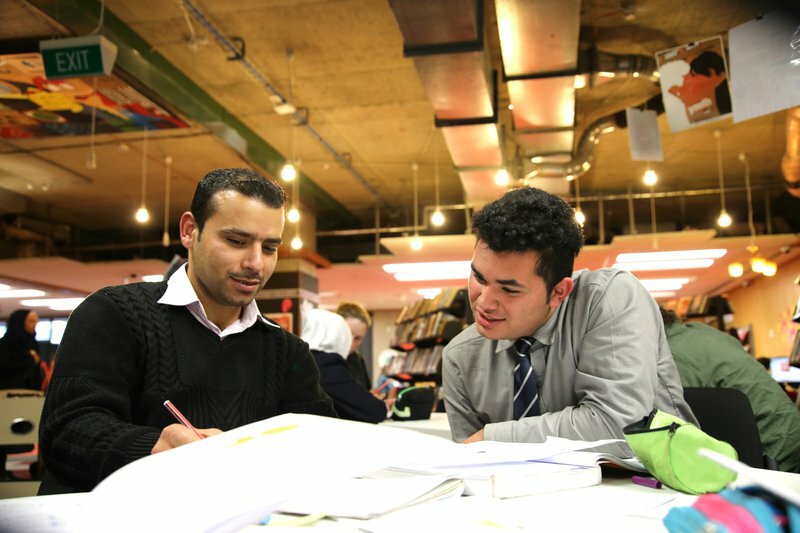 “It’s not just about homework; it’s about meeting people and socialising and learning English,” says Eman Ghandour. The club recruited participants by ringing the parents and inviting them along to the first session. It’s been a resounding success with 22 children asked to join and all of them turning up week after week. Naya receives one-on-one tutoring each week. The volunteers are matched with different students each week, tutoring in their area of specialty. Dana is studying public health at Otago University and mainly tutors the students in maths and science, although having the kids read their homework aloud to her also provides them with valuable English practice. She loves seeing the same kids each week and finds the whole experience rewarding. “I like how I get the opportunity to talk to the kids about their experience at school and knowing that I’m helping to make it easier for them,” she says. The progress of the teenagers has been astounding too. One student, Nada, has taken on a leadership role and, once the homework task is explained to her, she helps others around her. Meanwhile, Ahmed has impressed everyone with his absolute dedication to his schoolwork. “He comes every week with a goal and doesn’t leave the club until he’s achieved that goal,” says Eman. This is partly driven by his admiration for his brother who was studying engineering in Syria before his studies were interrupted by the war. Now Ahmed wants to follow in his brother’s footsteps and study engineering or medicine. Stories like these have encouraged an expansion of the homework club. Plans are underway to establish a second group to start in Dunedin’s city centre and another one in Mosgiel where a number of families have been resettled. If you’re in Dunedin and interested in becoming a volunteer peer tutor at the homework club, you can contact eman.ghandour@redcross.org.nz. There are plenty of other ways to support refugee resettlement in New Zealand too. Find out more about how you can help here.